The importance of Aviation Training. Simfly Cockpit Posters. Once in a lifetime many of us had a dream of working as a pilot. However, what many do not understand is how to go about the training and what to expect from the training. Before we answer this question, let’s first look at what aviation is, and a bit of its history. Aviation also known as air transport entails activities around mechanical flights as well as the aircraft industry. The industry consists of rotary and fixed-wing types, the wingless lifting bodies, balloons, airship among other designs. Aviation got adopted in the 18th century after development of the air balloons. And since Otto Lilienthal discoveries in 1896, and the introduction of the first airplane in 1900, aviation shows permanent revolution. And this has seen transport development advance throughout the globe. Aviation training is a study used by people who are learning how to operate an aircraft. The main idea behind it is to install all the basic knowledge and airmanship skills necessary to make a flight. To conduct aviation training, one can consider doing it under a structured certified syllabus. A flight instructor from the chosen aviation school should always accompany the student. You can also consider taking a private lesson without including any program. Also, in this case, a flight instructor must be available, and all the requirements for one to qualify as a pilot must be in place. • Aviation training administered to students in an aircraft. The practice can also be in any certified aviation training device. • Aviation training in a school-based program. In this case, the students attend lessons offered by a lecturer or the flight instructor. As a student, you get to learn about the theory behind aviation. It helps in preparation for the oral and written aviation tests for piloting certification. Despite the existence of a variety of aircraft, the principles remain the same. The piloting techniques are the same and this is the case especially with planes heavier than those air types. When you are taking the practical lessons, aviation school will rent you an aircraft on hourly schedules. The rates get determined regarding Hobbs meter and Tach timer. It means that your charges count only when the machine is running. Also, aviation training with your instructor can happen in access to an aircraft or not. The main reason for doing this is to enhance on pilot’s proficiency and initiating a recurring training session. Among the oldest aviation training schools across the globe include Royal Air Force’s Central Flying School. The center got adopted in May 1912 in the United Kingdom at a place called Upavon. At the Wasserkuppe in German, it was here that the first civil aviation school got established. Initially, the school got founded as Mertens Fliegerschule. The aviation training center is still active up to date and operates under its current name Fliegerschule Wasserkuppe. Since the early 20th century, aviation schools emerged from every corner of the world. Today, almost every country has both public and private aviation training centers. And with the improved technology in the industry, the learning process appears more straightforward to carry out than in the early days. Among the essential training materials in aviation are the Cockpit Posters. 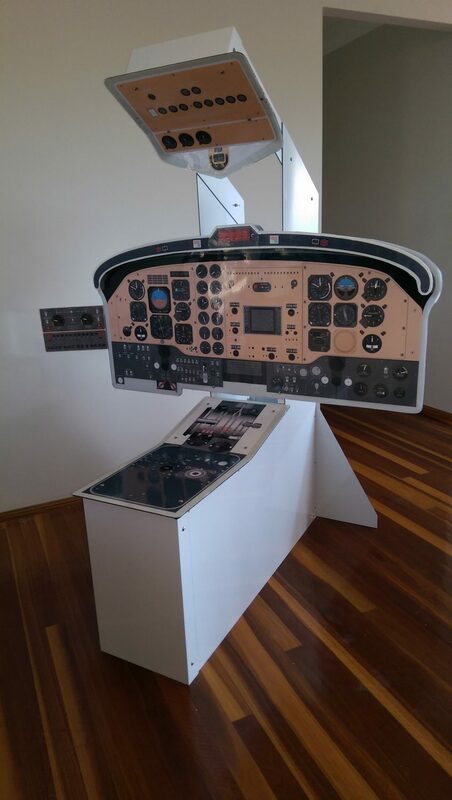 The posters are not only crucial to the trainees but also for the qualified and experienced pilots as well. Cockpits work as visual guides to make sure that the pilot is always on sight. The materials work as quick references for the training pilots. Through the help of the posters, the trainees can master the specific layout of every aircraft they tend to fly quickly. There is a wide selection of training cockpit posters meant for a pilot guide — the diversity bases on different helicopters, airliners, and aircraft. 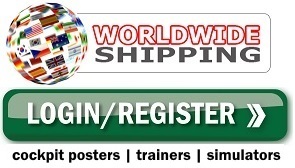 You can make your purchases online with most of these posters going for a price of fewer than 20 Euros. If you want these posters as a school or an aircraft center, you can take advantage of the available technology and weather poster. Such will help in training other departments apart from the aviation crew. Among the best cockpit posters available in our markets include the ATG, JetPubs, Training Crue Graphics and the Pooleys. • It helps the students to master the layout of the specific aircraft they are operating. By doing this, cockpit posters help improve the efficiency of the pilots in their flights. • It’s time-saving as it quickens the speed at which the students get to master their aircraft. • It enhances effective training and therefore boosting the confidence of the students. Cockpit posters are a must use training materials for all aviation students. All the signs undergo a thorough check to ensure that the artwork is correct. And in case a poster raises conflict of interest, a second review is done to eliminate the misunderstanding. Every flight training institution should consider implementing this technique. Cockpit simulators are another group of training materials that aids in aviation training. Most of these tools are cost-effective a good example being the FMGS trainer. The FMGS is a cockpit simulator that aims to guide trainees in flight management and guidance. The services are available for different aircraft and on a variety of platforms. The Touchscreen trainer from the EAC group is another flexible platform where flight instructors can host different simulations. The primary purpose behind using cockpit simulators is to enhance flight management. In this way, students can go through their training with less strain: the Cockpit simulators design basis on different aircraft, helicopters, and airplanes. Also, they are available in a variety of brands, making sure that the trainees can make an informed purchase decision. Aviation training is an exciting course for many of us. We, however, recommend you to take your lessons from a well-known aviation training center. Also, make sure to incorporate cockpit posters and simulators in your training progress. By doing this, it guarantees you of qualifying to become a better pilot.